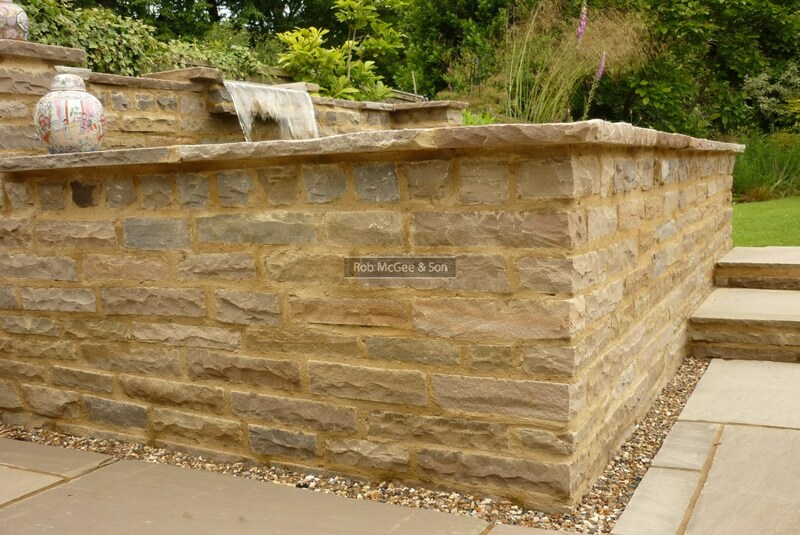 Sandstone walling for a raised pond complete with water blade. 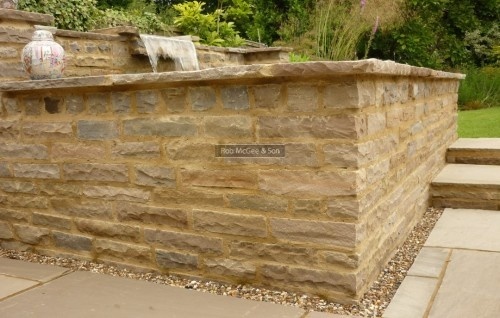 This pond uses Raj Green Indian sandstone. 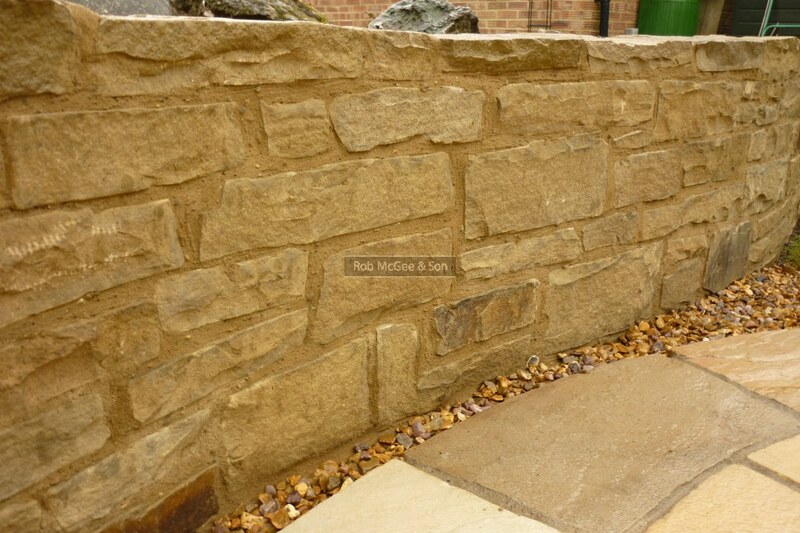 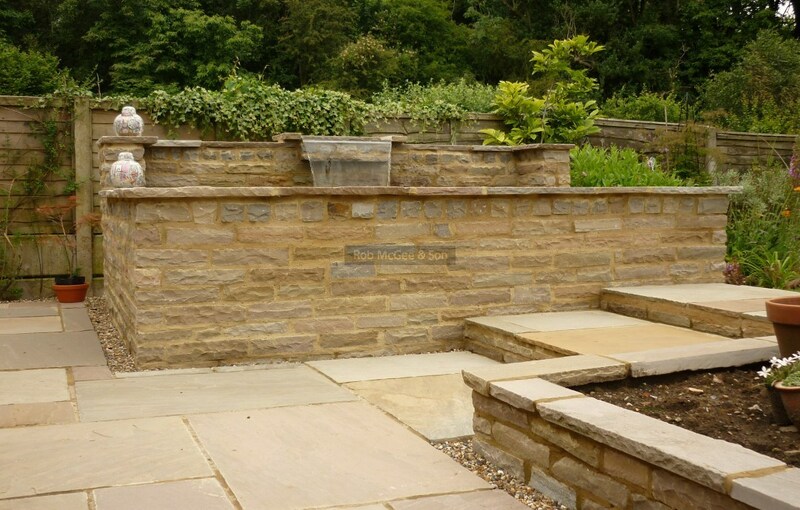 Yorkstone low level garden wall with Fossil Cream sandstone circle. 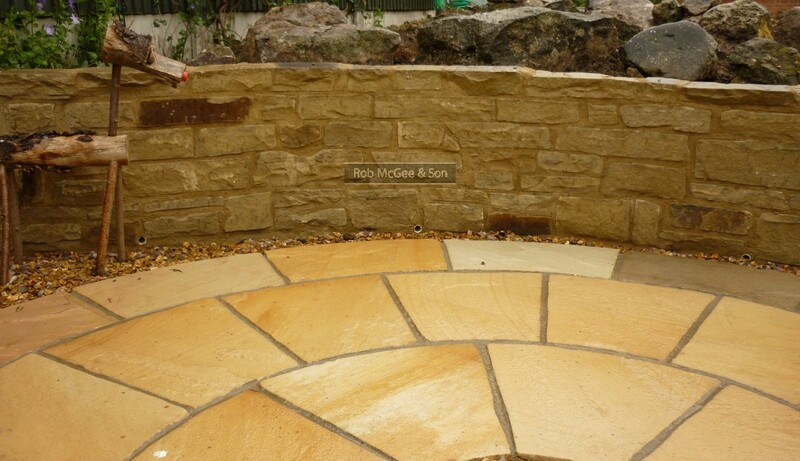 Hard landscaping from Rob McGee & Son.